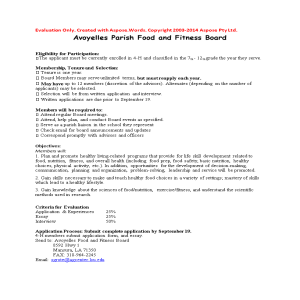 There are several different boards the 4-H youth can apply for, such as Avoyelles Parish Livestock Ambassador Application, Avoyelles Parish Shooting Sports Ambassador, and Avoyelles Parish Food and Fitness Board. Attached are the applications with the qualifications ad Eligibility. If interested fill out and submit completed application.